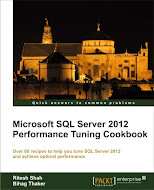 Auditing in SQL Server 2008 white paper. A key part of any data security strategy is the ability to track who has accessed, or attempted to access, your data. This provides the ability to detect unauthorized access attempts or, if necessary, to piece together the actions of malicious insiders who misused their legitimate access. Furthermore, a rich and robust tracking capability can provide oversight of sensitive configuration changes made by administrators. European Union Data Protection Directive, a strict data protection policy with implications across the EU and the global economy. Sarbanes-Oxley, part of United States law governing corporations. Payment Card Industry Data Security Standard, mandated by major credit card companies, with worldwide implications. These formal regulations affect organizations of all sizes, in all industries, around the world. They place significant pressure on organizations to ensure their IT platforms and practices are compliant. And ultimately, these requirements land at the feet of the DBAs, developers, and IT professionals who manage the data. It is important that a data management platform provide the means to meet these requirements, and do so efficiently. To address these needs, SQL Server 2008 introduces a rich and deeply integrated auditing capability that offers major improvements over previous versions of the Microsoft® SQL Server® database software. This paper will review the new audit features of SQL Server 2008, compare them to past versions, and walk through some implementation examples. You can read full while paper by clicking here. For studying one detailed example of Auditing in SQL Hub, click here.